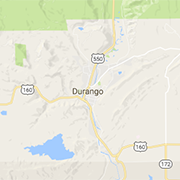 Durango is home to many of Colorado's finest attractions for a fun-filled lifestyle or vacation. Browse through our list of local craft breweries, the Historic Durango & Silverton Narrow Gauge Railroad, local wineries, Purgatory Ski Area, Sky Ute Casino, close access to national parks such as Mesa Verde, Vallecito Lake, and local Hot Springs. Coal-fired, steam-powered trains carry passengers through the majestic mountains of the San Juan National Forest from Durango to Silverton. Crafting community and friendship with craft beer, the DBC taproom offers historically great beer and food in its original brewery building just north of downtown Durango. Enter Four Leaves Winery, Durango's sommelier sanctuary! Experience the essence of locally blended wine and please your sophisticated palette.